I f k i s s e s w e r e s n o w f l a k e s I ' d s e n d y o u a b l i z z a r d .
It was a cold and blustery spring day in Rocky Mountain National Park. 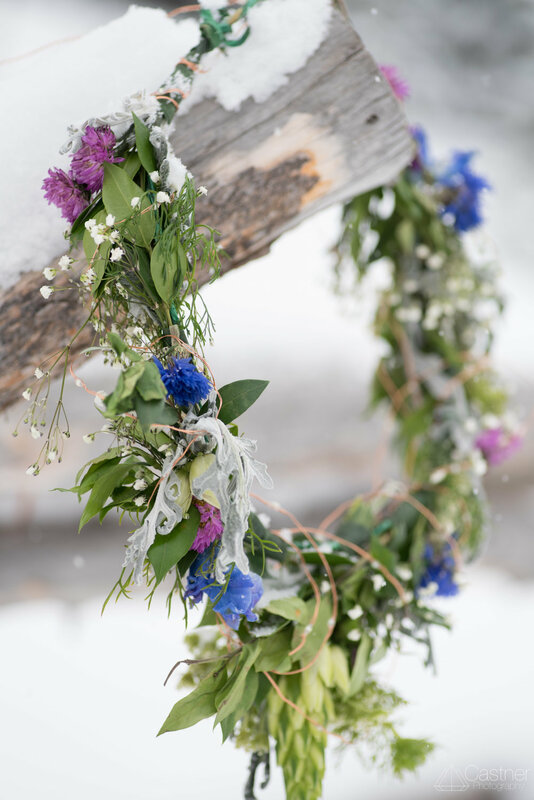 The original plan was to have a spring session, surrounded by budding trees, blossoming flowers, and sunny skies, but in true Colorado fashion, a final winter storm rolled in the week of the shoot. 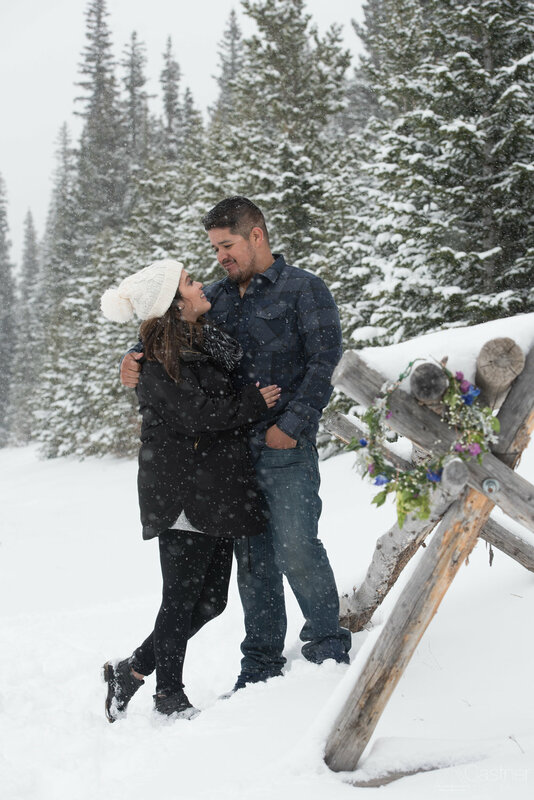 We watched the forecast and saw that the storm was expected to continue through the weekend, so we reached out to Natalie and Sam to feel out if they wanted to reschedule, to our surprise they were equally as excited as we were for the change of plans and the fresh snow on the pristine landscape. The buds and blossoms were there, just under a blanket of white. 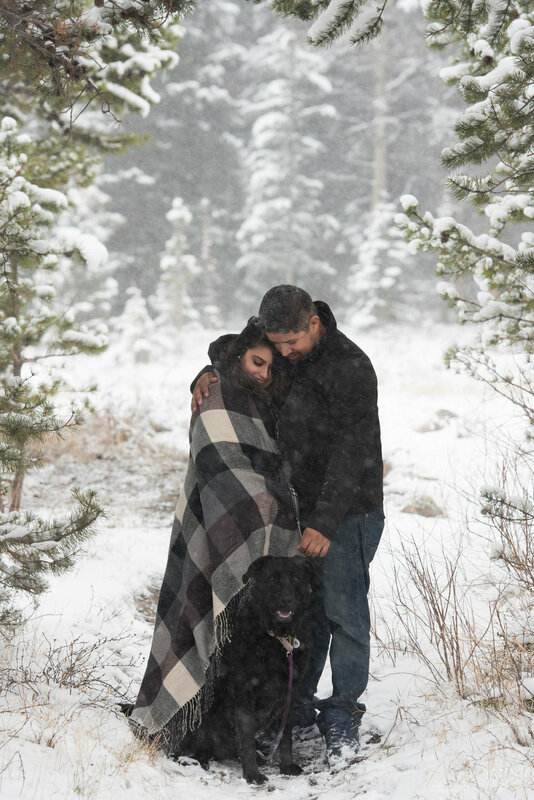 We met Natalie and Sam at a wedding expo in Boulder and they shared with us their idea for their dream engagement session in the Rockies with their darling pup Bailey. When we met up to brainstorm session details, they shared with us the story of how they met through mutual friends. Their circle of friends has been a very important part of their lives together. Sam even enlisted their whole crew to help out with the proposal, setting up a scene full of loving memories at a cabin in the woods. Killer job Sam! They were all there when it happened to celebrate with them, so it was only fitting that some of their friends joined them for their engagement session. Special thanks to Carla, Souki, and Hector for helping us out with props, setup, dog wrangling, and entertainment! Also to Kelly at Ti Leaves Floral for the beautiful arrangements!